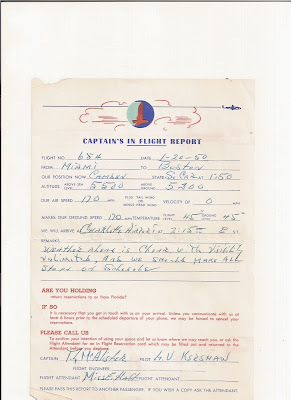 Here is one of those great little items from the long ago days of flying, an actual in-flight progress report for the passengers, written by the flight crew. 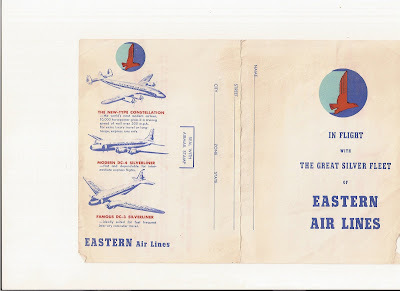 This report is from Eastern Airlines Flight 654 a DC-3 flight from Miami to Boston on January 20, 1950. 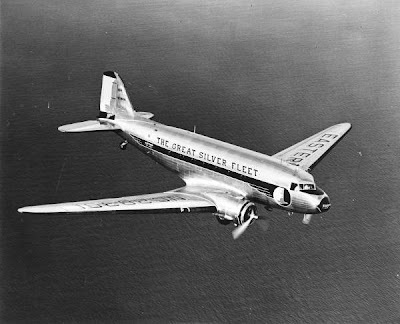 Unfortunately they never wrote down the tail number of the DC-3, but looking at my old airways chart the flight was flying over Camden S.C. along RED 16 with Florence as its next POR. Vero Beach………. 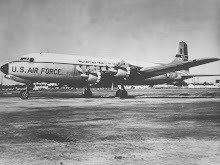 Lv. 9:35 A.M.
Jacksonville …….. Ar 11:10 A.M.
Charleston SC….. Lv 12:54 P.M.
Greensboro NC …Lv 3:06 P.M. 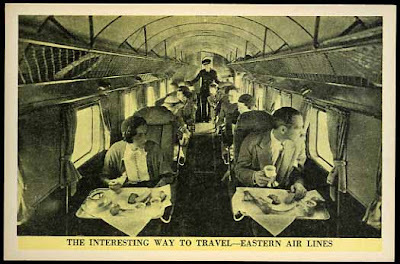 Almost 13 hours in an old DC-3, that would have been fun.